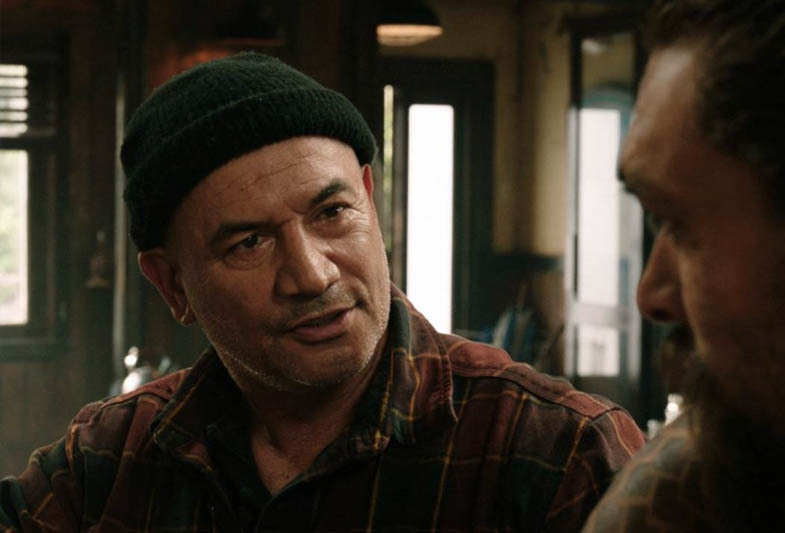 Waaaaay back in 1994, the New Zealander actor Temuera Morrison won critical acclaim as Jake in Once Were Warriors, as the unruly patriarch of a Maori family whose wayward ways upend the lives of his clan. In subsequent years, Morrison demonstrated his tremendous talent in a number of indie films, with the occasional major-league appearances including The Island of Dr. Moreau, Six Days Seven Nights, Green Lantern (as Abin Sur), and arguably his most popular role as Jango Fett in Star Wars Episode II: Attack of the Clones. But it was that legendary turn in Once Were Warriors that inspired a young Jason Momoa so much that he knew he wanted to be an actor… and so, Momoa insisted that Morrison was the only choice to play his dad in Aquaman. Awww! Once Arthur Curry finally makes his way to the ruins of Atlantis to claim his birthright as the leader of the ocean realm, we get some really cool glimpses at the kingdom of the deep in its glory days. Among them, the stately visage of the once-ruler of Atlantis, King Atlan… and you’d be right if you knew you’d seen that bearded mug before. Scottish actor Graham McTavish’s most-seen role might have been a little tougher to spot: Underneath a ton of hair and prosthetics, he was the dwarf Dwalin in Peter Jackson’s The Hobbit trilogy. But to TV nerds, his greatest role was surely as the unreasonably macho (so much that it was his downfall) Scottish laird Dougal MacKenzie on Ron Moore’s brilliant Outlander series on STARZ. McTavish’s CV also includes Tomb Raider 2: The Cradle of Life, the 2008 Rambo reboot, and Creed in addition to a ton of British TV work. 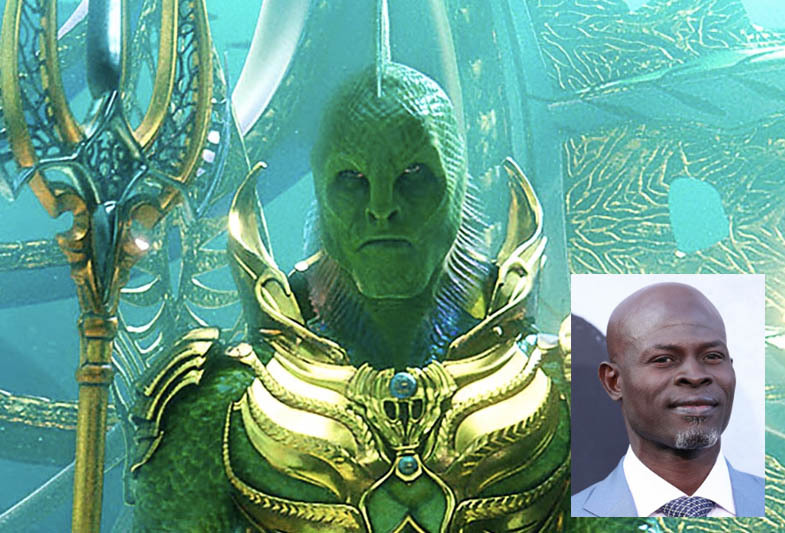 When the proverbial seaweed finally hits the fan in Aquaman, all of the undersea kingdoms have to pick a side in the battle to save the seas… and the land, by virtue of not declaring all-out war. 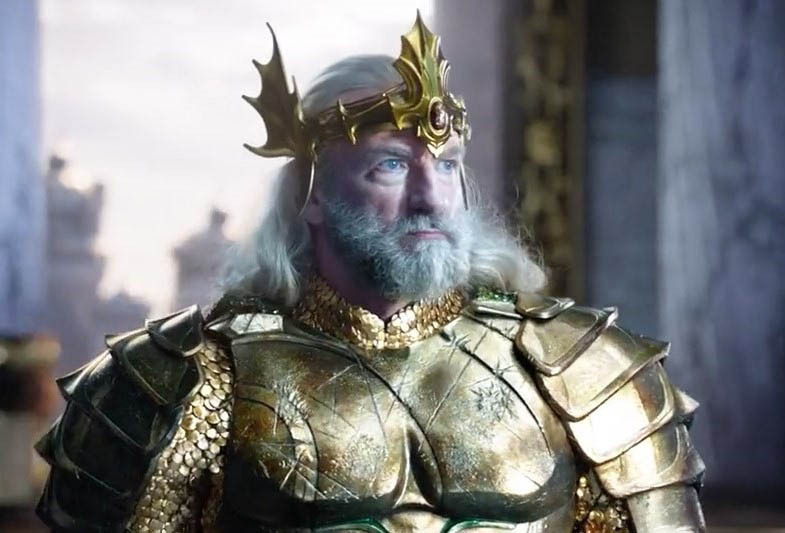 One of the holdouts against Orm’s tyranny is this crabby-looking hard case, the Brine King, who is on the verge of a fight for his kingdom’s survival when Aquaman and Mera arrive to turn the battle… and did his bellicose voice ring a bell? 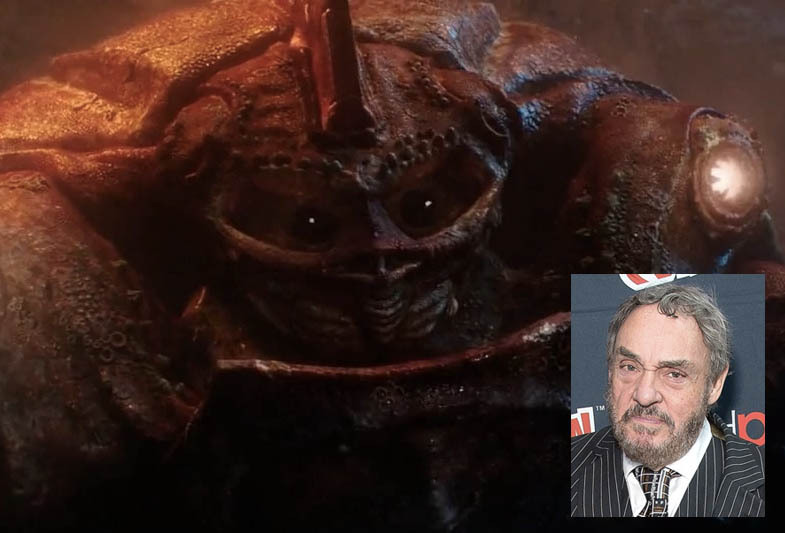 It should: That was the incomparable John Rhys-Davies. It’s total poetry that the Brine King and Rhys-Davies best-known role – as the dwarf Gimli in the Lord of the Rings trilogy – are such immovable, scrappy badasses. Okay, but maybe Rhys-Davies’ best known role is as Sallah in the Indiana Jones films. (“Asps. Very dangerous. You go first!”) Or on the 90’s fan-favorite sci-fi series Sliders? Or his innumerable stage roles, Shakepearean and otherwise? THIS GUY. Look, if you’re going to imbue the most fearsome creature in all of the ocean realms with a powerful, commanding female voice… you could do a hell of a lot worse than Mary Poppins. YES. MARY POPPINS, Y’ALL. 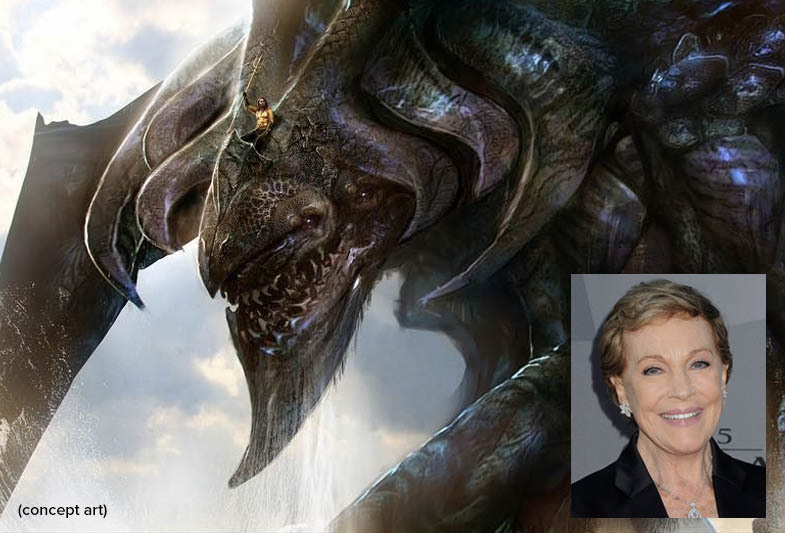 In maybe the greatest casting coup in the whole of Aquaman, our boy James Wan landed the living legend Julie Andrews to give vocal life to the Karathen, the terrifying creature who has laid dormant at the bottom of the sea just waiting for a soon-to-be-king to rouse her to life and undergo his final test of mettle. And man, this Dame killed it in the audio booth, kids. Better be ready if you’re going to challenge this she-beast. Do we even need to tell you where else you’ve seen her before? The Sound of Music, Thoroughly Modern Millie, Victor/Victoria… no, but seriously, go watch Victor/Victoria RIGHT NOW. Aquaman is just one of the titles featured in April’s SHOWDOWN theme for Loot Crate! Sign up by 4/19! Next article Manic Monday: Retro Marvel Toys Were Somethin' Else!